Web Design City is a well-known PHP web development company in Sydney. We develop informative and shopping cart websites for our customers services of products online display. 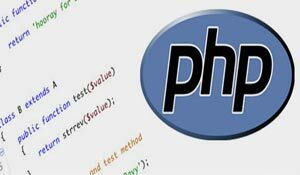 Our customers can hire PHP developers who are highly professional and experts in their delivery. WDC is 100% Australian company who specialises in delivering custom coding websites. We have a team of developer who are specialised in customizing different types of applications like ecommerce solutions, shipping integration with PAYPAL, Eway credit card integration for our customers. Web Design City has experience working with fortune five hundred companies and startups in developing and designing their mobile responsive high end websites. WDC has immense proficiency and hold over dealing with the PHP based projects. So far, we have worked successfully for a number of advanced PHP support projects including LAMP/WAMP architecture development, programming, Drupal/ Joomla CMS using this frameworks. 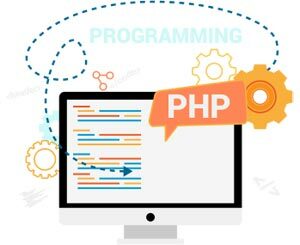 Skilled PHP professionals with – technical and functional know-how. We facilitate companies in Sydney amalgamate new and innovative web technologies. At Web Design City, we offer our clients a periodic analysis and feedback regarding their site performance. We associate with experienced development consultants to offer our clients complete business solutions for the web. comprehensive reporting with transparent process. With our very dependable, effective, and consistent website design and development services Company Australia, we ensure you to provide fully functional, dynamic, and highly interactive web portal. Our each and every contractor is well familiarized with utilize this very programming language for nearly all types of websites. Irrespective of how big or small is your company; irrespective of where you are positioned on the digital lifecycle curve, we can associate with you impeccably and boost your business to the next interactive path. From a basic content-based website to a global ecommerce framework, our developers ensure to deliver the finest solutions. There are open source like Joomla and osCommerce which are based on PHP. Our team specialise in designing and developing WordPress websites for our customers in Sydney, Australia wide. Hire professional PHP Web Developers from Web Design City? Hire professional and experienced Developers to obtain 'maximum' benefits at minimum 'cost' for both – custom based complex and simple website programming websites …. Visit our portfolio for more information or designed websites. Contact us for professional PHP developers… get linked with Web Design City to avail the best website development services in Australia. For more info contact us on 1300 932 587.